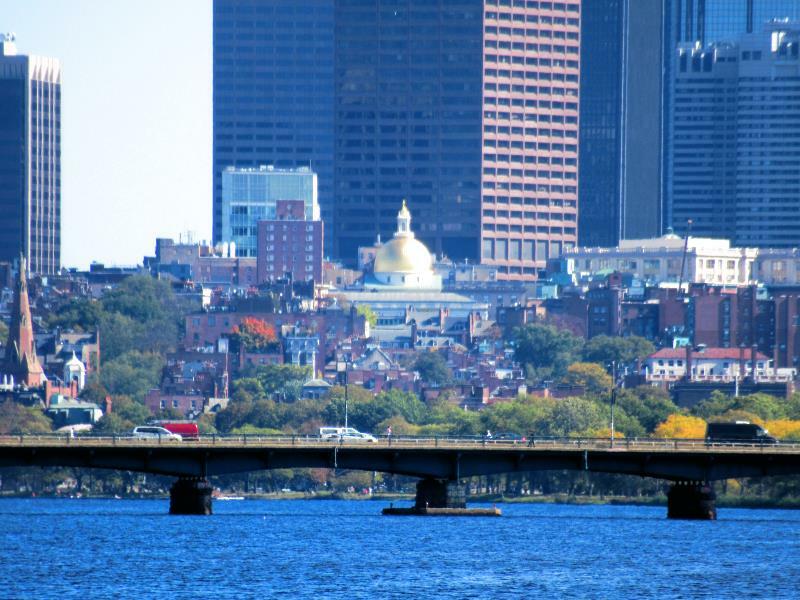 Longfellow Bridge and Beacon hill at background. 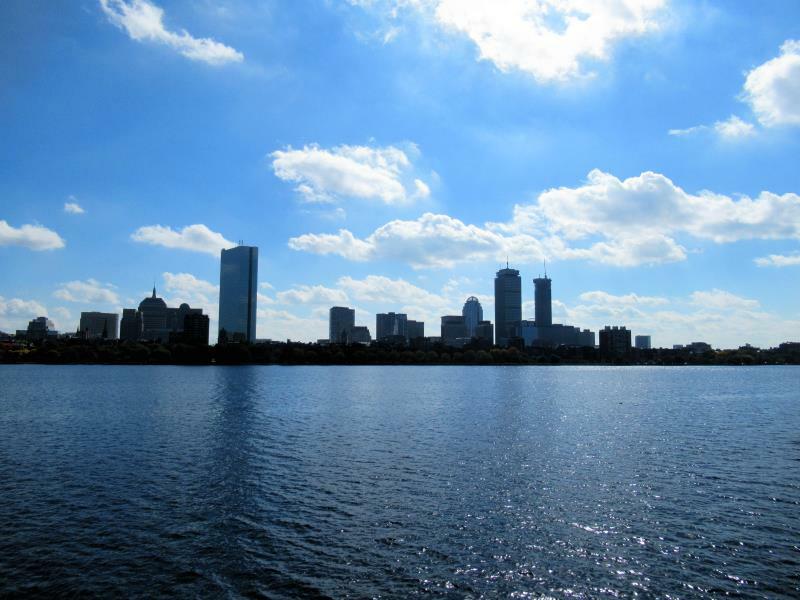 Boston midtown skyscrapers behind Longfellow Bridge amd Charles River Basin. 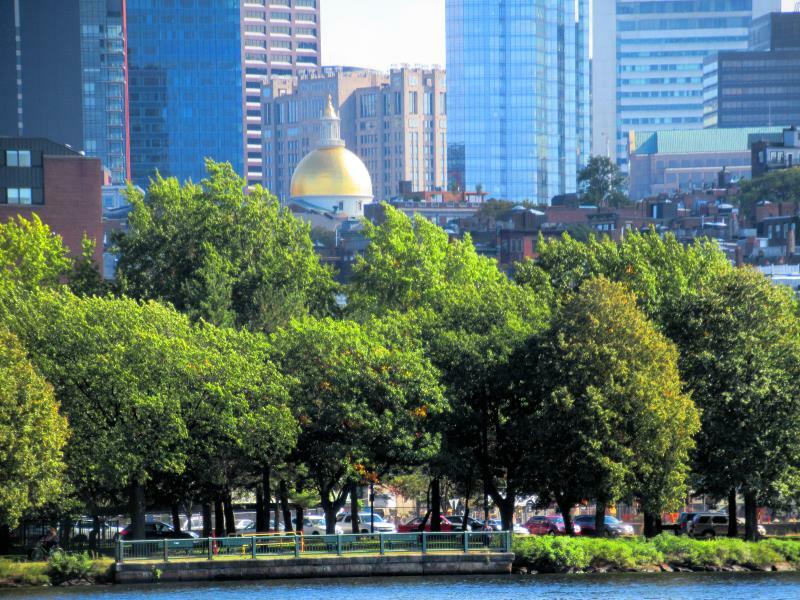 Charles River park and Dome of State House at Beacon Hill Boston. 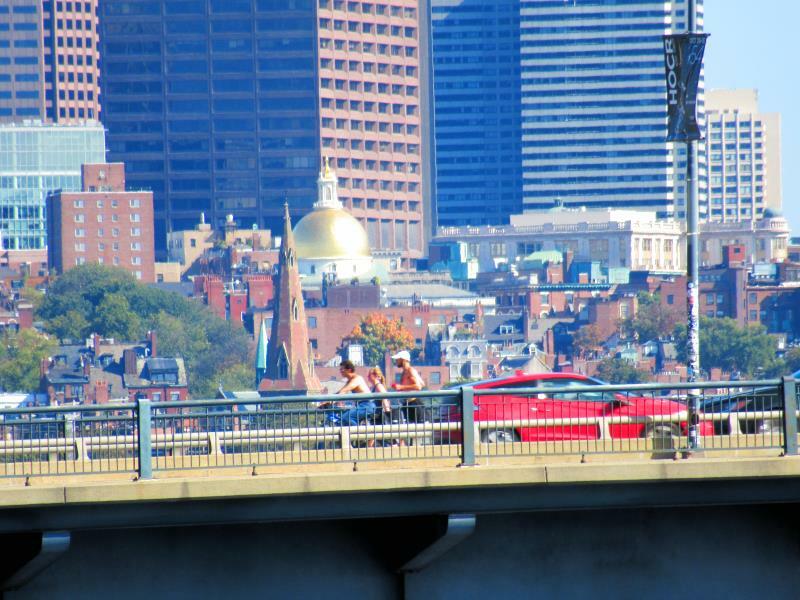 Massachusetts Bridge across Charles River Basin and at Beacon Hill Boston and downtown behind. 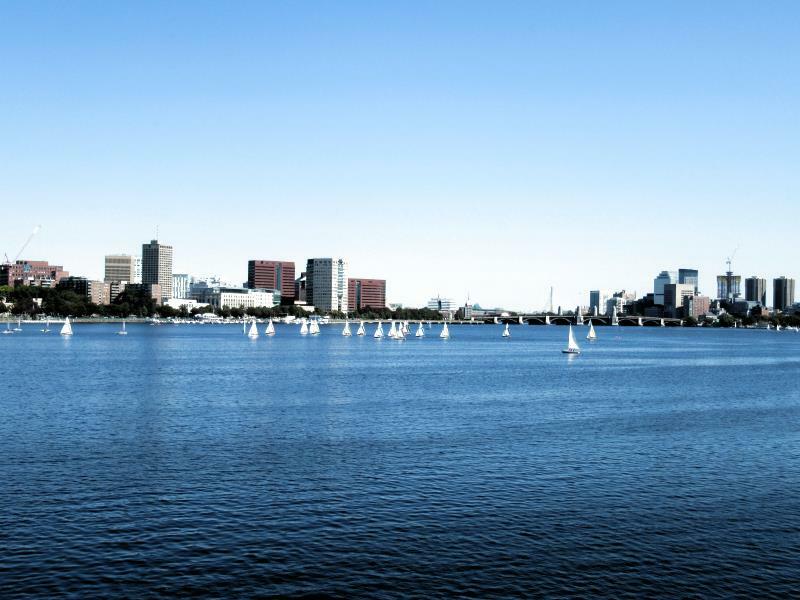 Charles River between Longfellow Bridge and Massachusetts Bridge is the widest and called Basin. 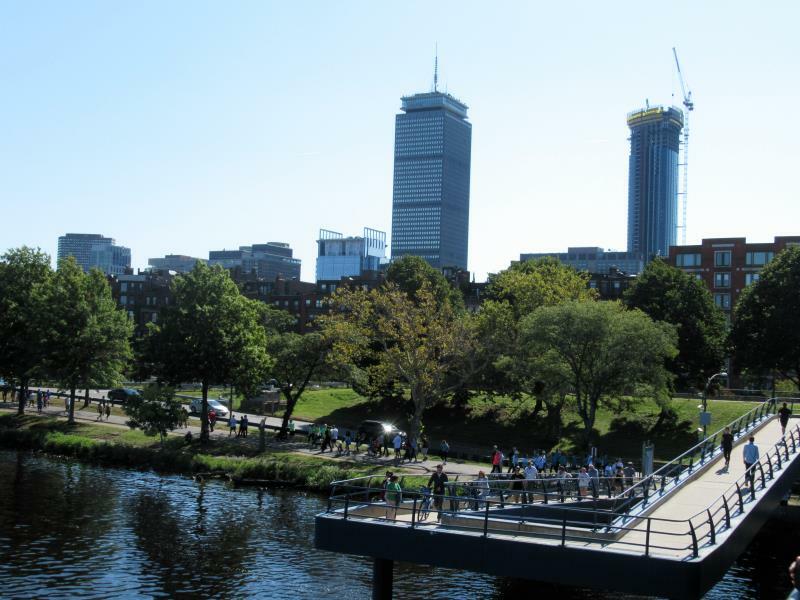 The skyscrapers of Boston downtown dominates above Beacon Hill historical buildings even been at background of Massachusetts Bridge. 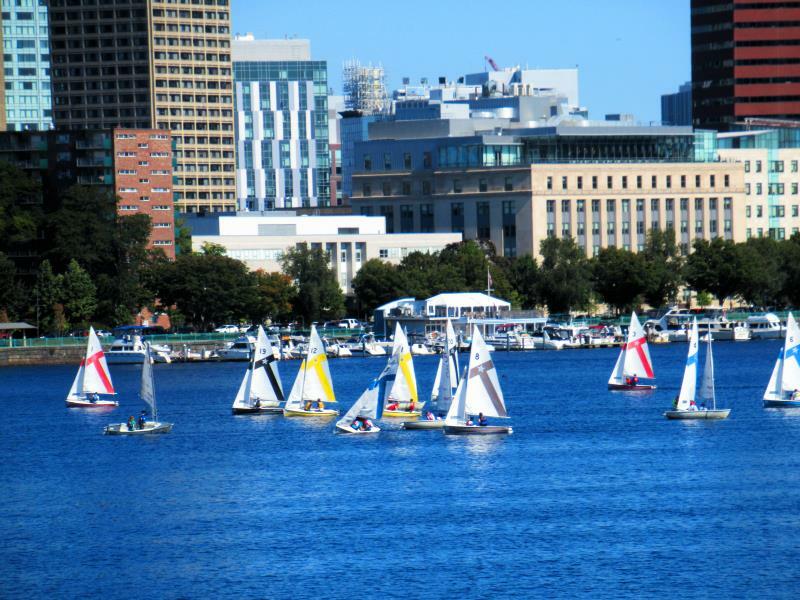 Wideness of Charles River Basin attracts a fleet of sail boats..
Boston and Cambridge are on opposite shores of Charles River Basin. 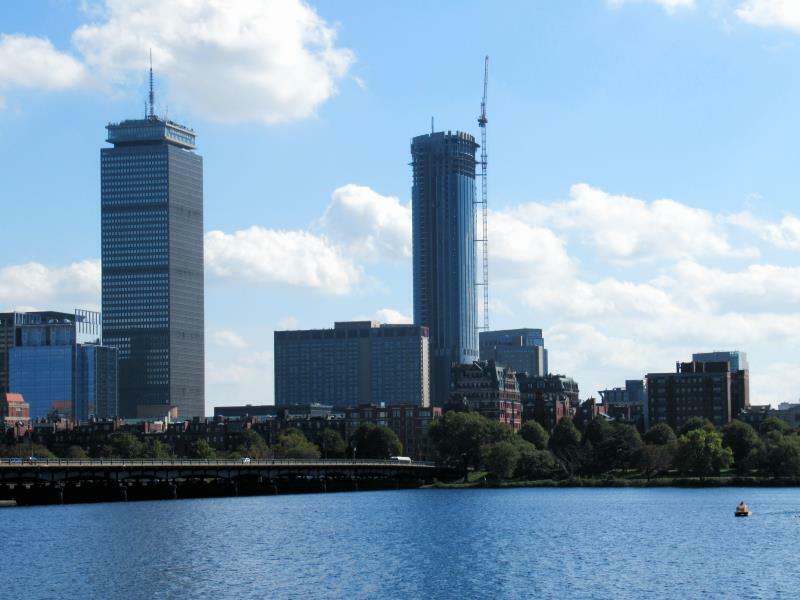 Midtown with Prudential Center and new skyscraper in progress from Massachusetts Bridge. 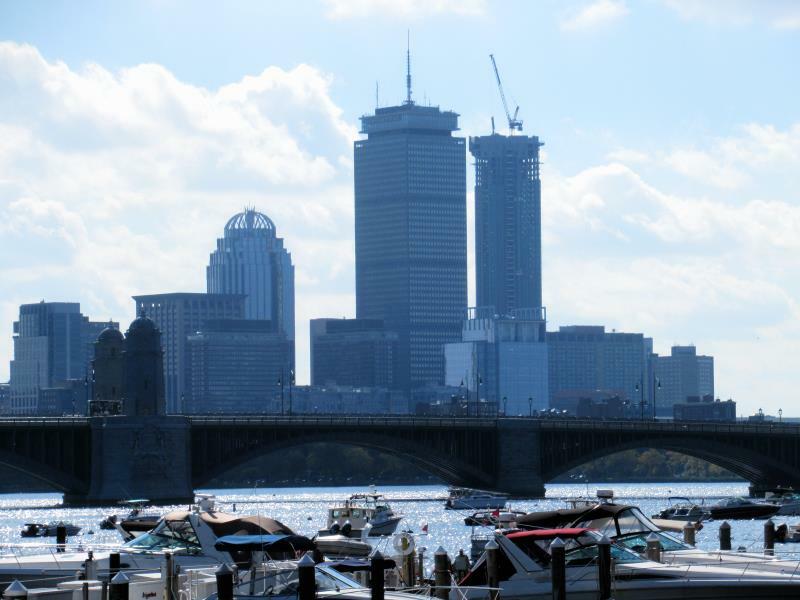 Prudential and Hancock buildings are unmistakable landmarks of the midtown of Boston. 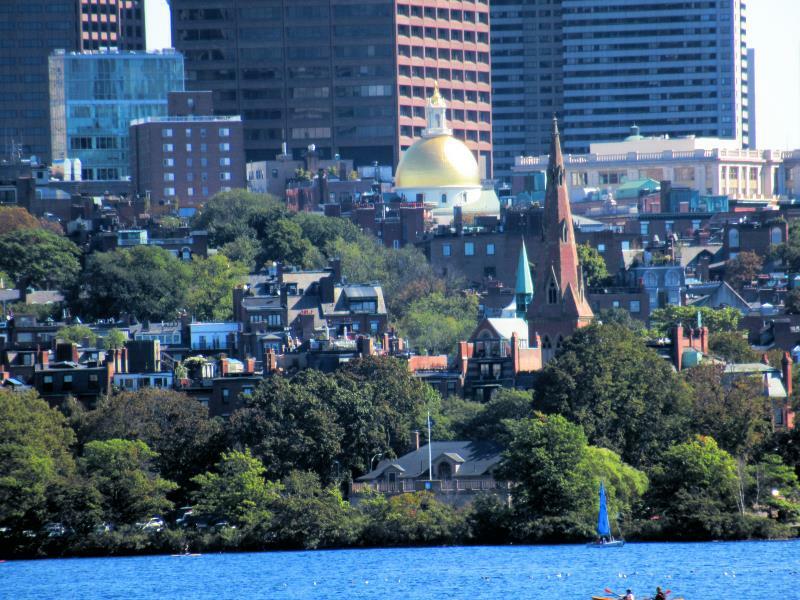 Historical Beacon Hill in Boston. 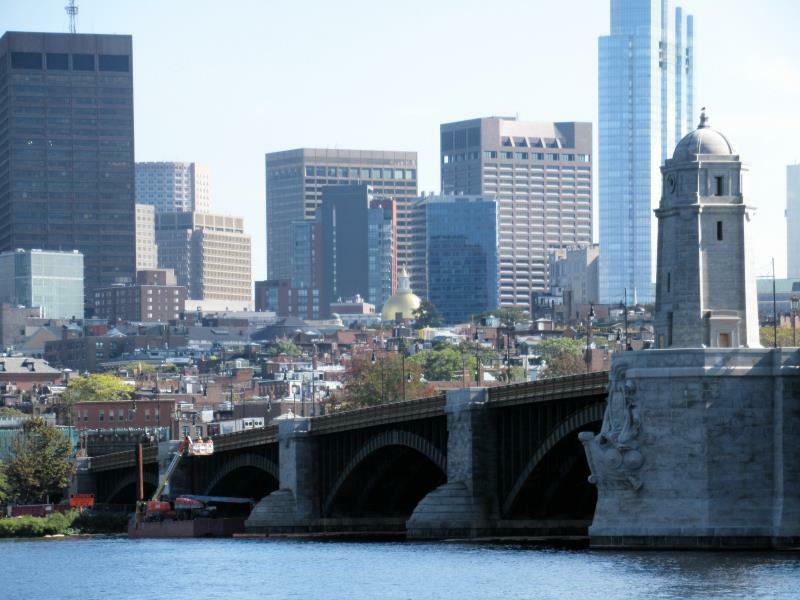 Bunker Hill Bridge behind Longfellow Bridge creates new landmark skyline for Boston. 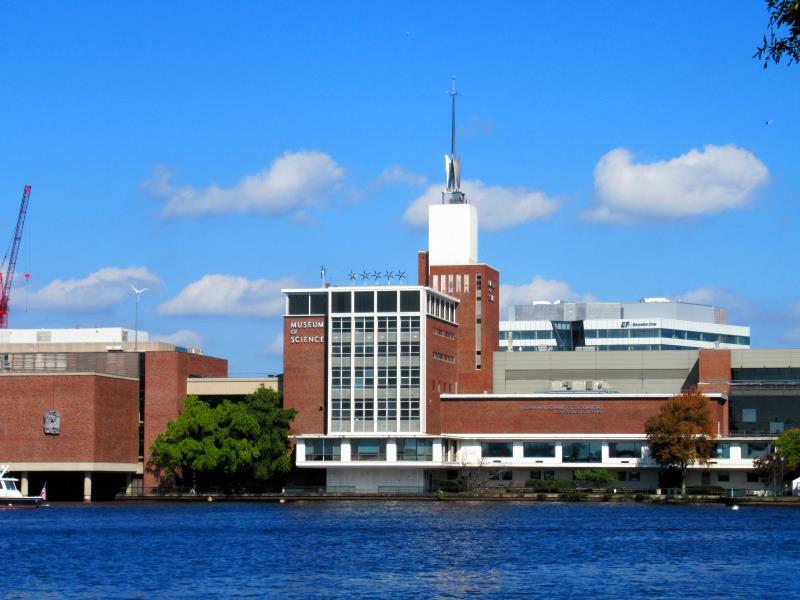 Science Museum Building located at Old Dam of Charles River. 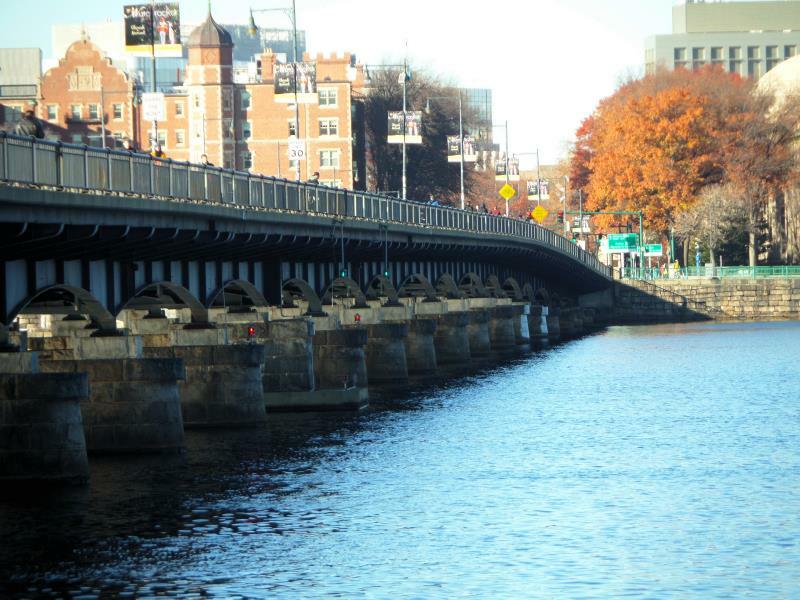 Old Dam of Charles River is operational. 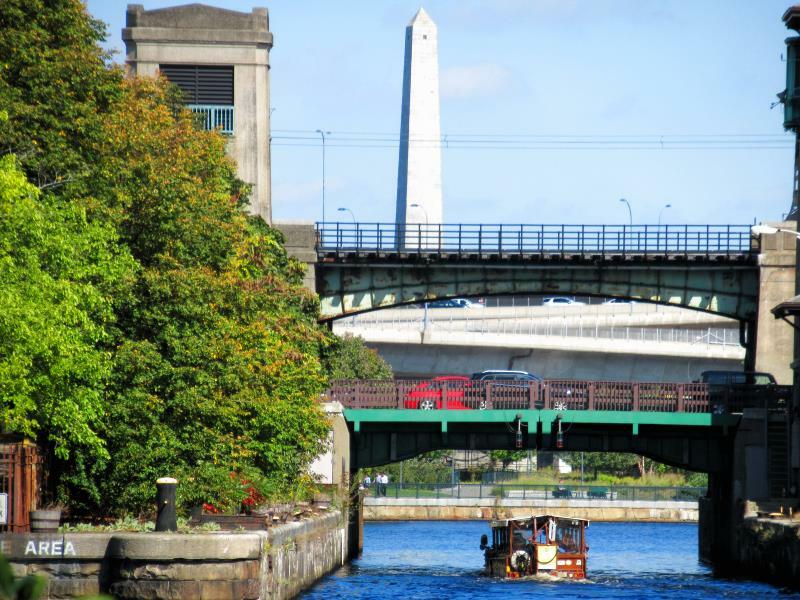 The Bunker Hill monument is just behind. 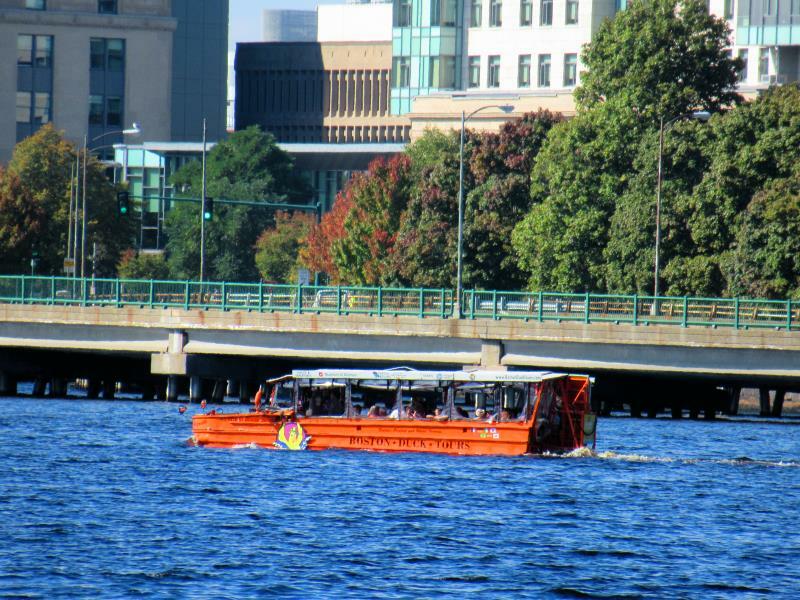 Amphibian Duck Tour boats sail Charles River Basin as a important part of Boston exploration. 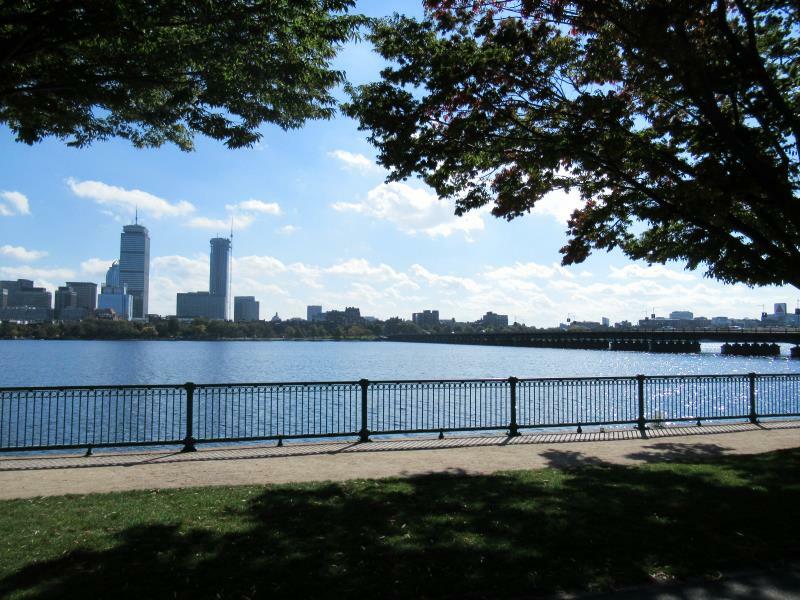 Most of Cambridge side of Charles River Basin is occupied by Massachusetts Institute of Technology. 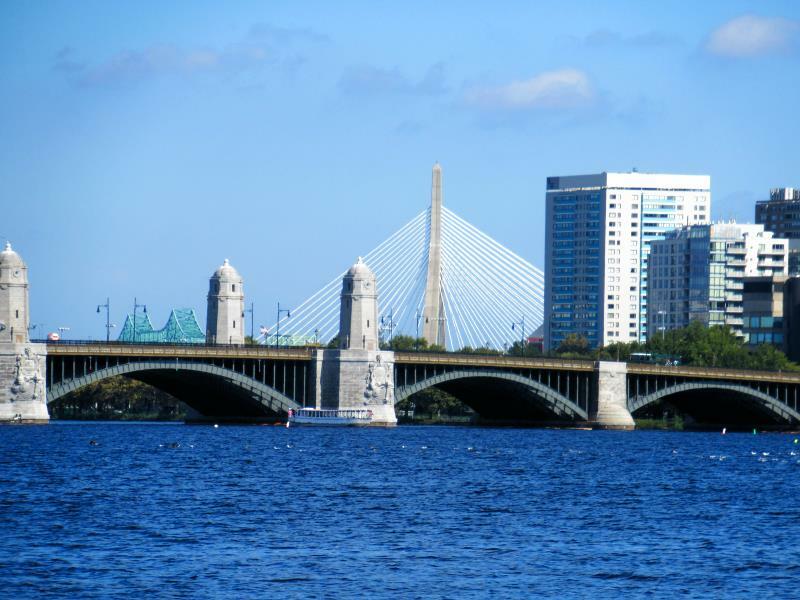 Massachusetts Bridge is part of main street of Great Boston connecting Cambridge and Boston. 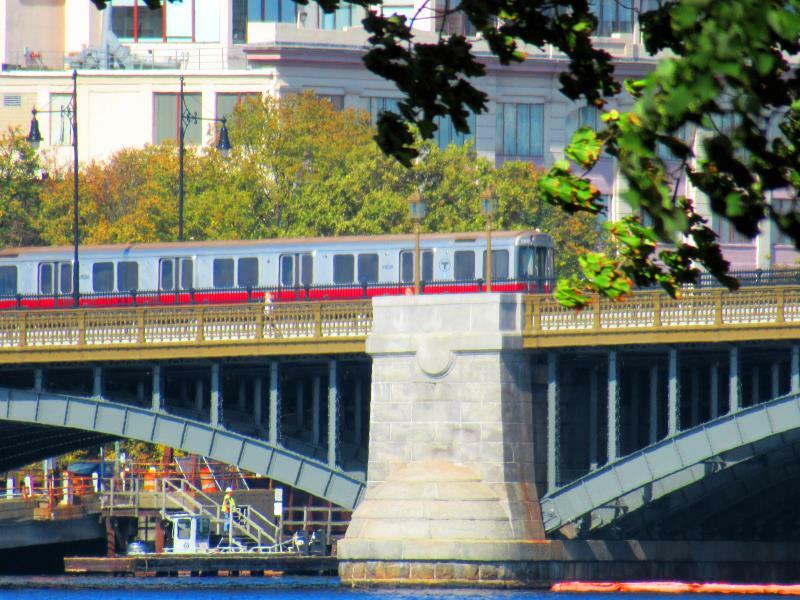 Red Line train crosses Longfellow bridge to Boston. 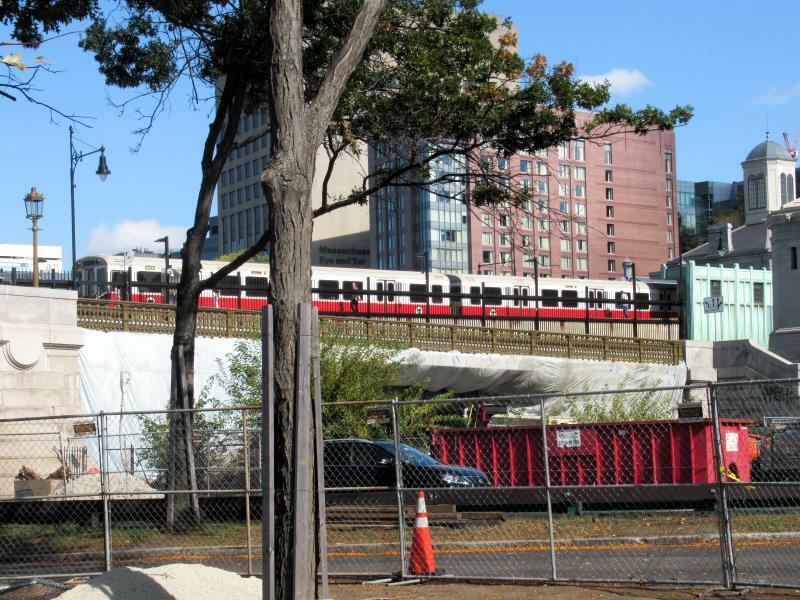 Red Line train at MGH station located at Charles River shore of Boston. 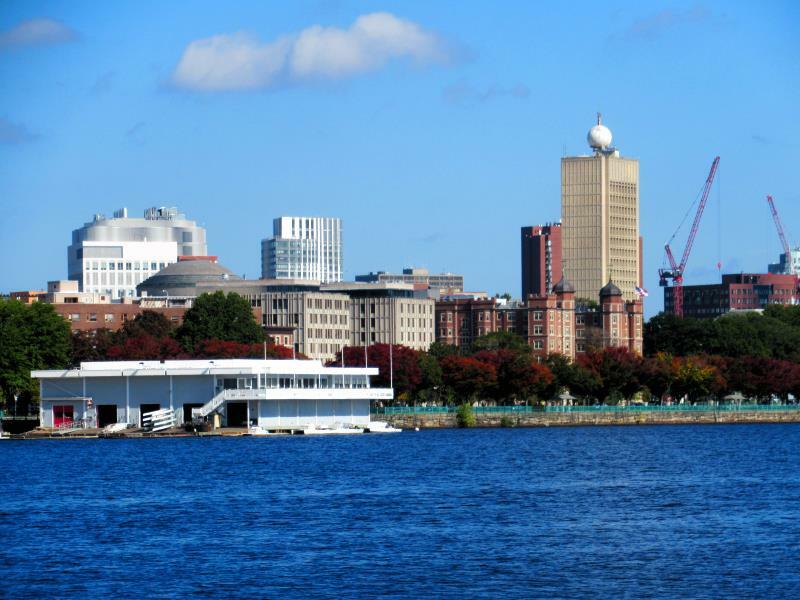 Midtown Boston as seen from Cambridge side. 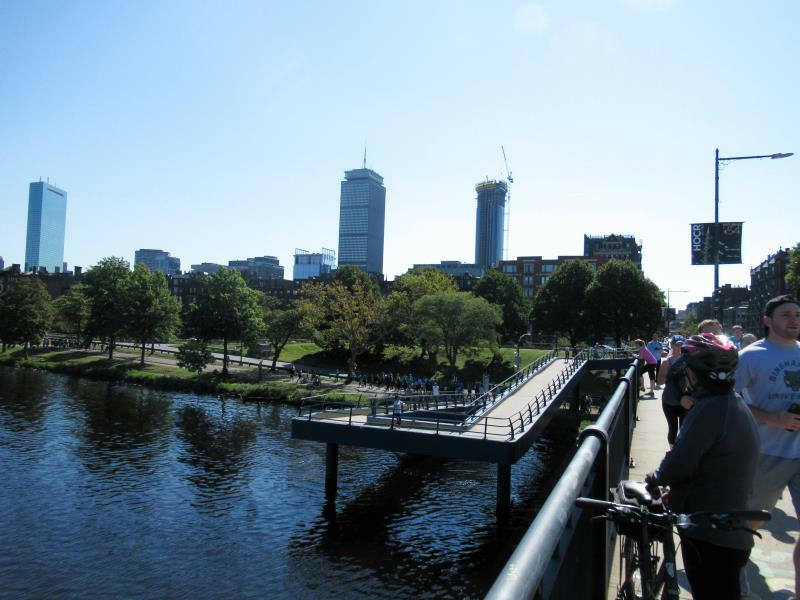 Prudential Center behind Massachusetts Avenue Bridge.